First I would take a well deserved vacation. Soon I get back I would start with my family friends and my community. They are all deserving of help. There would be no greater pleasure. If I could help.It would be so awesome just to see the look on there faces no greater honor could there be. Yes I Dare to dream. Dreams do come true. Idonate to charity,give helping hand to my family,when they ask,live on a monthly income. PCH Ace of Spades Notice your opportunity to win a $25,OOO.OO Cash Prize from PCH Giveaway No. 4749! Dwight dody I would like to winn it all .this is august 6 could help with bills. this is august 6 I sure would like to winn it all . I so need to win it all Play every day an nite. Be. Very happy with car an 1 mil . I am ready for my dreams to true , I believe that dreams do come true, I will be waiting. To those who is a winner of any amount…use it with wisdom..it can be all gone in one day..may you win with understanding and how to use it much knowledge. I thank you for the chance to win it all. My three grandchildren thanks you as well. I truly want to Win “Win it all” prize,$5,000.00 a Week “FOREVER”,$1,000,000.00 Super Prize,$50,000.00 Bonus prize,$3,000,000.00 For A Dream Home and many more Prizes! Finally, this is new to get 10 Chances to Win $10,000.00 Cash Prize From Pch Gwy.No.5323! Would love to win on August 31 make my dream come true! My family would be so proud of me! I would buy my mom a house! So knock on my door! Yes, Win It All Forever PCH!!! Praise God!!! Amazing!!! Dios mediante quiero GANARLO TODO, para poder hacer una clínica y puedan atenderse la salud aquellos que no tienen posibilidad de hacerlo,por no tener seguro médico,ya que soy un cubano profesional de la salud y nos gusta ayudar a los mas necesitados.Muchas bendiciones. 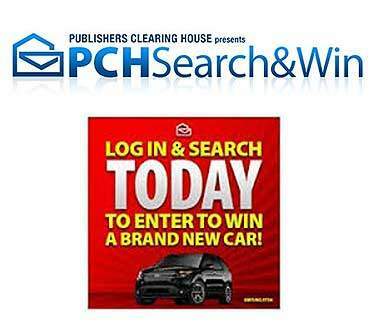 I WANT TO WIN IT ALL GIVEAWAY # 4900,5035 A WEEK TO ALSO $2.000.000 & NEW CAR …..LOVE PCH ….MAKE MY DAY ! Hey Pch Staff I here searching today that yesss I Ee Lee would truly want to win the two Millionaire superprize on August 31 gwy No.4900. Thanks for yours truly loves Always. Hey Pch Staff teams I here searching today that yesss I Ee Lee would truly want to win the $1,000,000.00 superprize on August 31 gwy No.4900. By the way, thanks a lot for with all yours cooling truly loves Always. These winnings would truly be a Blessing to this 63 year old man on a very low fixed disability pension. I would thank you and God Almighty. F I WON THIS AWARD help my family and would settle all my debts. It would also help others in need in PR And donate to foundations of major concern .. I WANT TO PARTICIPATE IN THE DRAW OF $ 2 million, $ 10,000.00 FOREVER AND BRAND NEW CAR. Yes I am ready to win it all first I would pray to God for the good he has been to me and then pay all my bills and then plan for a vacation after I receive $3 million dream home my Ford Explorer and the $7.000.00 a week for life. I really need to win it all. I have a lot of Heath problems and my husband is retiring next year. I would like to spend the next few years with the love of my life for the last 43 years, without having him worrying about our finances. Thank you and God bless you all. It has been so difficult for me to get to this blog section ! I have been sending messages that I am in London & I am unable to get my important entries for the last 2 days !!! as I reach a point i automatically am transferred to a page that says this is not applicable for this region! There are three important entries to get my prize No & I am unable to enter Please help I want get my prize No. I am here for my sons wedding & I am taking out time to fulfill my responsibility to my game & I cannot seem to enter !!! Please accept my entry for my prize no & send it to me as I am not allowed to go to it from London !! !I will be back in 10 days to continue my obligations but it seems I can only officially inform you of my request from here !Please accept & message me ! I have been answering back on reply to every query but no responce from you !! so finally I have found this plat form to inform you that officially accept my responce to all your requests . I really don,t think that I will win, but I can dream.I have never won any thing from pch, and have never heard of anyone that has. I want to win the big one in the pch win it all sweepstakes 4900. It’s a dream come true. I will payoff all my bills and someone who is dreaming just like me also.. Please God hear my prayer. (FV). I am looking forward to winning. I will like to enter the pch win it all.. for my family that need a beter life and resolving all my debts. Yes I want to winthe “PCH Win All”-Dream Life Prize of $2,000,000.00 Cash and $10,000.00 A Month For Life and a Brand New Car ” PCHGwyNo.4900! I work & pray for this everyday ! I am also at the end of my life & as I have promised before I like to share !!! Let me feel I made the right choice in spite of everybody being against my doing this ! but something made me trust You !!!! WIN IT ALL! IS ALL I NEED! Hello my name is Pamela , I want tone winner in sooner I wan to get brand new truck and I help with family and I will getting shopping for my clothes and shoes everything and I’m active to prayer thNk gosh please get winner hopefully for me thank you God Bless. I help with my friends and support church building to owner for deaf people thank god bless to them and my family I need Ford F-150 2016! God Bless smile can’t waiting get excited ! To be Blessed with this enormous prize would change my life. I need to give donations to animal shelters St Jude’s Hospital for the children and help feed the hungry. I know God will pick with right person to win. 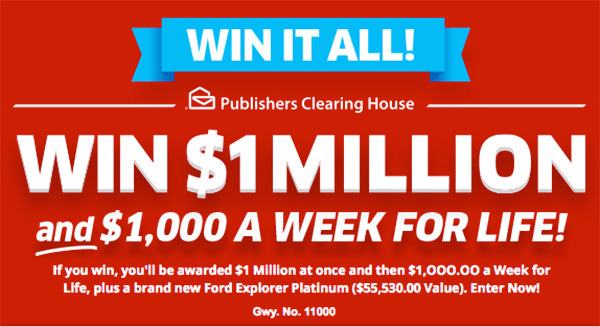 I would like to enter to win the “PCH Win All”-Dream Life Prize of $2,000,000.00 Cash and $10,000.00 A Month For Life and a Brand New Car ” PCHGwyNo.4900! Yes I would like to win it all So I can pay all my bills and start a vacation and be able to visit country’s I haven seen in my life. 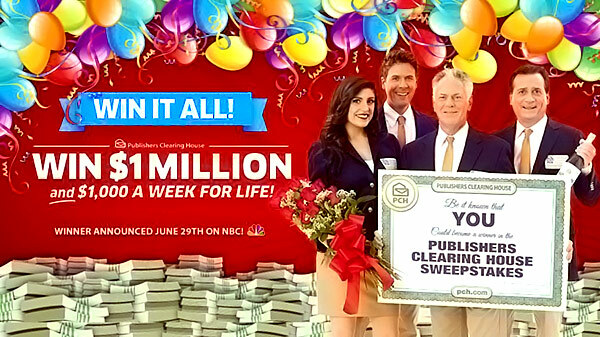 I want to win the prize patrol award 2,000,000.00 at once plus more from PCH front page gwy no 4900, Thanks. If I won the dream vacation–my wife and I would be off to Cobb o San Luca,Mexico to lay on the beach enjoy the night life and forget about Harrisburg, PA.
We’d bring some gifts home for our grandchildren and a couple bottles of top shelf vodka and rum for my son and his wife. Now I am also wanting to enter for Gwy 3080 ! I believe a lot of offers are there & I am very happy !! Pch please accept me as an entrent for all that you are offering !! I basically want to win someting big Like up front millions & a dream house !!! tht’s big ! Help me to do the stuff required to win that ,I don’t want to waste any time !! please ! Thanks for everything . I play all the time sure would be blessed to see you at our door. Good luck to all . No place to input my activation codePC276. Please place my code in activation. I really want to win I have been do everything they ask me to do to be the next winner. I believe in time they will come to my house one day and I will be so glad because I can leave a long legacy behind. I would like to enter to win the $10,000.00 ” Sweepstakes Contests. I have not seen any place to enter the CODE I just received by mail. Waste of time filling out your questionnaire as I am retired. I have attempted to follow your instructions to furnish my CO”DE PC275. 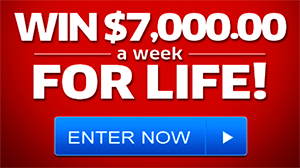 Yes I want win $2 million plus $10,000 A Month for life..
from Pch gwy No.4900 ! 4650 yesterday !!! I want to claim eligibility for all the above mentioned offers & N0s. Win it all August 31! Knock at my door make my dreams come true! Come on prize control! Bring me flowers and a big check! I want win $2 million plus $10,000 A Month for life that what I want family be happy for life #4900 . May God bless you all! Need money to buy your product. Yes my dear pch , yes I want to win it all on 8/31 thank u my dear pch. Hv a nice weekend! Hi PCH I win of $ 2, OOO, OOO.OO in advance plus $ 1O, OOO.OO month Live Plus Lincoln MKZ new worth 37,315.OO on 3Oth June PCH Giveaway # 49OO. I ask you to award thank you PCH.!!??? ’m have an opportunity to win $2,OOO,OOO.OO Up Front, $1O,OOO.OO A Month For Life, and a New Lincoln MKZ valued at over $37,OOO.OO from PCH Giveaway No. 49OO on June 3Oth! I’m Searching to “Win It All” during our Special Early Look Prize Event by PCH GWY # 4900.
who won this prize?? I cannot find anything on the website or online? Hey I search now that Ee Lee yesss would truly love to win a Fortune $2 Million superprize on August 31 gwy No.4900 and plus more… Thanks… Loves. YES YES PCH, 4900 #3080#3577#4902# 4950#4749# 4650# 1830#5035#3814,……..$2,000.000.00. CASH AT ONCE, $10,000.00 A MONTH FOR EVER PRIZE, $37,085.00 JUNE 30TH 2015 $1,000.00 AS PART OF GWY 3814, SUPER PRIZE SEARCH AND WIN PUBLISHER CLEARING HOUSE SUPER PRIZE EVENT AUGUST 31ST GWY 4900, I WANT TO WIN, I SEARCHED AND REPORT TYPE, MESSAGE NOT FIND 404, MESSAGE, COULD NOT THE REQUEST. LINK, THE REQUESTED RESOURCES COULD NOT FIND THE REQUEST LINK IS NOT AVAILABLE, I HEREBY CLAIM MY ELIGIBILITY TO CONFIRM $5,000.00 AWEEK FOR EVER PLUS $ 1,000.000.00, PLUS THE PERSON WHO I CHOSE $.5,000.00 FOR EVER, I SEARCHED ONLINE AND I AM RESPONDING TO THE. IMPEDING VIOLATION, I WANT TO WIN MY UNIQUE SUPER PRIZE PLEASE ACTIVATE AND COMFIRM MY ELIGIBILITY TO WIN MY PRIZE FROM 27TH FEBRUARY, THANKS, I HOPE THE PRIZE PATROL WILL COME TO MY ADDRESS AT MY LOCAL FRONT DOOR AND KNOCK MY DOOR FOR MY DREAM COME TRUE WITH THE BALLOONS AND CHAMPAGNES AND ROSES, THANKS FOR YOUR HELP …….. I would like to win $2,000,000.00 win it all yes i would love to see pch team at my residents we really want to win it would be a mericle for me an my family. ”PCH WIN IT ALL- DREAM LIFE PRIZE $2 MILLION CASH, $10,000 a Month for life and a Brand New Car no.4900 PCH- WIN -IT- all- dream -life -prize” -y-e-s, please I ‘M STILL HERE TRYING TO WIN IT ALL. pch who won the 2 million plus $10,000.00 a month for life plus lincoln mkz and also fordfusion on june 30th no sign of it on the winners 30th list was it given out ??? I want to know who won. When will the announcement be made? Well PCH, win it all for me would be great. Hope to see you Dave, Danielle & Todd tomorrow. Only a couple of days left I wish to Win! Please knock on my door! Make my dreams to come true! I hope I win, because I’m tired of crying every time I Pay bills. I’m also tired of not be able to buy what we want because we can’t afford it. I really need this to happen for my husband and I. “Win It All “on June 30th, Early Look Prize Event from PCHG.4900! That’s $2,000,000.00 UP FRONT $10,000.00 A Month For Life, and a Brand New Linclon MKZ valued over $37,000.00! Plus Silver Ace of Spades- &25,000.00 Cash Prize from PCHGiveawayNo.4749! please enter me in win it all june 30th. gwy 4900. 2 million 10,000.00 a month for life n new Lincoln. thank u. If I won the PC price on June 30th I would help the abused and abandoned children that are at the Phoenix hospital and offer them a good home and proper care. The Phoenix metro area is not doing so well with finding these children with a loving home. I worked help family and friends who are not doing well.As for me I finally will be able to go on a cruise and see Australia for the first time. I also would see about sending care package to my fellow Army soldiers who are away from there homes. I have for the last 30 years suffering from a really bad back. I’ve have 2 disc fusion and a support bracket attached between L4,L5,L 5,S1. I can no longer able to support my family. So my ex wife, wife at the time leave me. It is time for a bit of a change for sure. I’m going to win and win big. I Was hoping to win the June 30th 2000,000.00 plus the 10,000.00 a month for life. I would love to help our self and family and friends. plus I would love to actually go to those orphage and get things for the children. With the Almighty God and Jesus Christ blessings, yes I, would like to WIN. Because I will be able to Help a lot of People, such as My Granddaughter who have CHARGE SYNDROMES: she is Blind, Lost of Hearing in one ear, can not Talk and other Problems, to hire the Top Specialist in the Country to help her and Children like her, Second Build a Cancer Treatment Center of American in the Bay Area, somewhere in Antioch or Stockton California, lots of open space (Land) not develop, because they are all back East and South, Third the Oakland Hall remodel into a Club and Restaurant for People over 30 years of age, to come enjoy them selves on Weekends Good Food, Dancing, Live Entertainment, Music, with Elegances, Long Dresses, Jewelry, Suits and Hats, to bring back the Cotton Club Days, like the Red and White Ball, happen every year; Fourth build a Day Care at my Father’s Church in Vacaville, California in his name, for Low Income Single Parents wages are low, with a Swimming Pool, Reading, Numbers, Art Classes, Hot Meals everyday; Fifth buy a 4 Bedroom Family House with a Swimming Pool, Sixth help my family and families, Seventh help a Homeless Family of 4 who live in a Shelter to live in there own House, and again to give Praises to the Almighty Lord God, Jesus Christ for Blessing me to Win Publishers Clearing House as there Big Winner, I thank you from the bottom of my heart and soul, thank you PCH. Amen. Hollo PRIZE PATROL ELITE TEAM, TODD SLOAN, DANIELLE LAM AND DAVE SAYER. YES I WOULD LOVE TO CLAIM AND WIN my forthcoming SUPER PRIZE NO.641435094340 PCH GWY.NO.4900. YES I WOULD LOVE TO CLAIM AND WIN $1,000,000.00 Million dollars SUPER PRIZE GWY.NO.4950. I am so anxious to win. My wife and I pray every day that I’ll win on June 320th. If I win that will bring a tremendous amount of joy to our lives. We’ll be able to do and get everything we need and want. We’ll also be able to give wonderful donations and do great things for our friends and family. It will be heaven right here on earth. Thank you! I’m Search to “WIN IT ALL” $ 2,000,000.00 at once plus $10,000.00 a month for life plus a Brand New LINCOLN MKZ by PCH GWY no.4900 & $25,000.00 Super Prize Golden Ticket by GWY no.4749.I’m claiming now both prizes.I’m waiting your message,PCH officer’s. Yes PCH I hope It is not to late to claim that great Millionaire-Making Superprize “WIN IT ALL” 4900 $2,000.000.00 up front plus $10,000.00 a month for life plus a new Lincoln MKZ! Thank You! If I win this #4900 prize , it will change my life. As it happens I just retired and could realy use the help! most of the money spent in your life is after you retire and everyone want a peace of the pie. I would love to go to Hawaii and see the WWII History where our ancestors fought for our freedom. They need to be Honored every day we are alive. I know my bill collectors would be happy too. I know I said it before but I need to say it again. I really need to win on June 30th. All the Money and the car. I want my Husband to have surgery and I want to help my two daughters and my sister and brother and my mom and dad( they are getting up there in the yrs. I want my husband and I to take a trip while he is able. Please I really need to win. WIN IT ALL 2 MILLION & 10,000.00 A MONTH & CAR PCH GWY#4900 ON JUNE 30 PLUS 1,000.00 LOCAL TV PRIZE IN MY TV AREA,AND ALL ENTRIES AND BONUSES THAT APPLIES. I would like to win $2,000,000.00 win it all on june 30th I really want to become a winner i just hope that i could be the one to see pch team at my residents well i keep looking down my drive way hoping it could be me well pch have a safe trip an however it is is one lucky person. PCH I’M CLAIMING AND ENTERING TO ” WIN IT ALL ” THE DREAM LIFE PRIZE”, GWY NO. 4900, 4902, 4950, THNX PAULINE. ..
it would be great to win .I would be able to pay off my girl school lawn off and take my wife on a trip of a life time. I would like to claim eligibliity for a executing $25,000.00 Cash Prize PCHGiveawayNo.4749. Silver Ace of Spades, Plus”Win It All” That’s $2,000,000.00 up front $10,000.00 A Month For Life, and a Brand New LincolnMKZ worth over $37,000.00! PCHGiveawayNo.4900 on June 30th! Good Luck Everyone! PCH,I could use this “Win It All”. We had a House Fire A Year Ago,and,are still trying to get our remodeling done. Our Insurance Claim wasn’t enough to get it all done. If I win,I am going to get Our House Done,and,get My 2 Kids Bedrooms redone,and,give them Happiness that they deserve. Thank You For allowing me to enter. God Bless. Help me win, pull my entry on June 30. WIN IT ALL! 4900! JUNE 30th, 2015!!!!! Hey Pch Staff teams I Ee Lee here would love to activate my entry win Pch Contest Audit Card W-26 publishers clearing house “win it all” -$2 Million plus more! Gwy No.4900 and plus $5,000.00 cash gwy No.4902….. At the end thanks for all your loves.